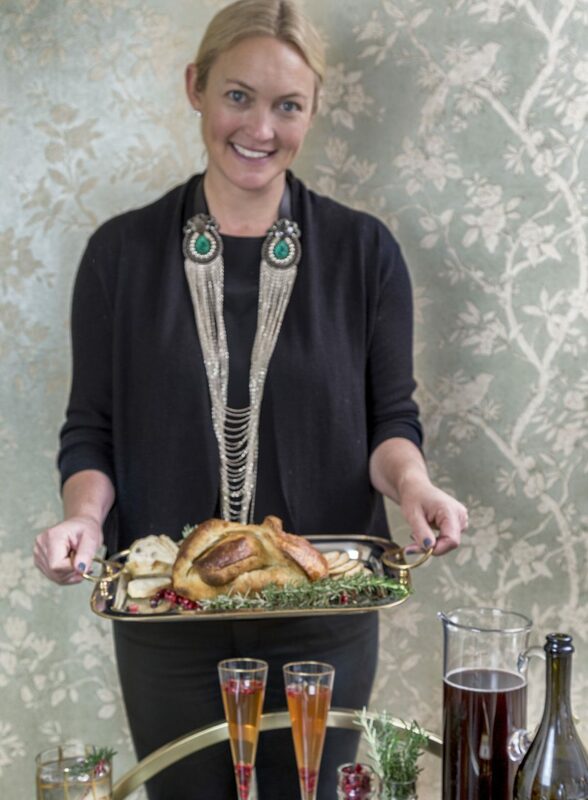 In case you’re hosting this holiday, we’ve teamed up with the fabulous Marcia, of Smart in the Kitchen, to bring y’all some easy, deicious appetizers and cocktails! When I think of the holidays I think bubbly so a festive champagne cocktail is right up my alley. We made this prosecco pomegranate spritz recipe for a dinner party the other night and it was a hit! 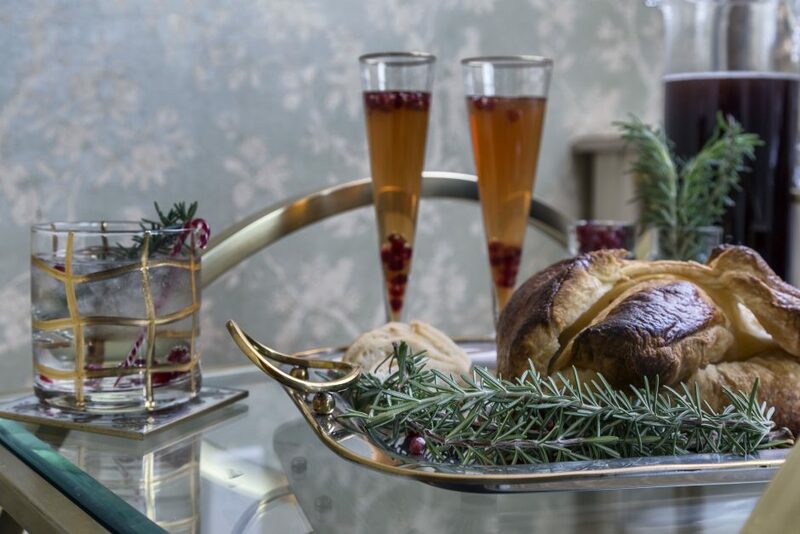 I’m hosting an ornament party later this week and think I’ll try the pomegranate and cranberry sangria recipe, which is a great recipe for a larger crowd. 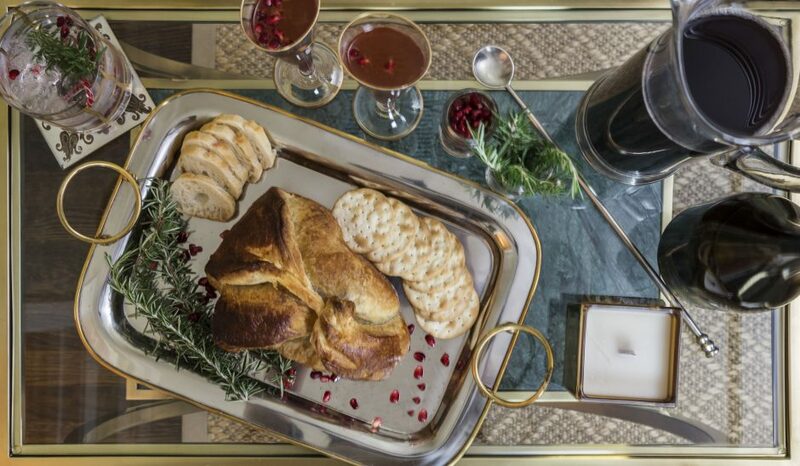 Baked brie is also one of my go-to’s for Christmas and Marcia’s version is my favorite yet. The Meyer lemon cranberry sauce is to die for! I love having something sweet to set out for guests (or me!) 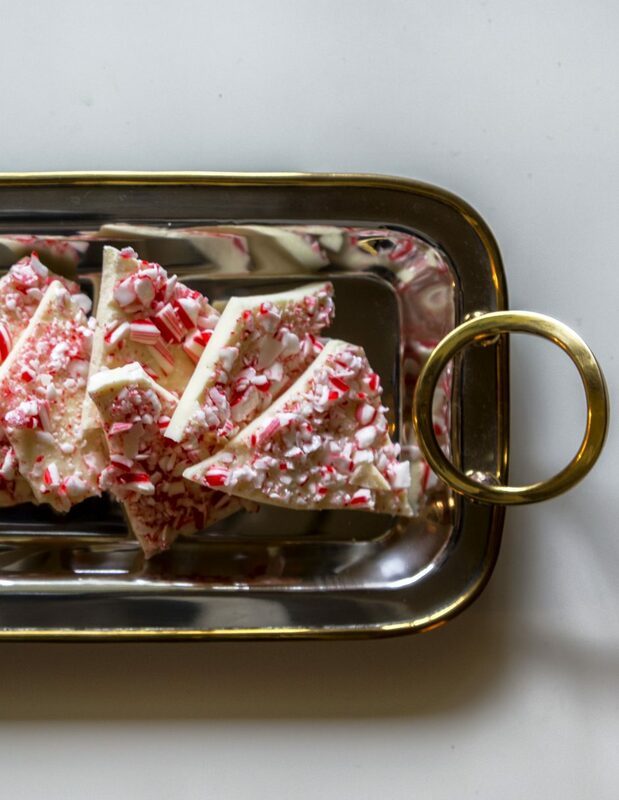 and this Peppermint bark is a simple sweet treat. It’s been tempting me this entire holiday season. I have some family members who are gluten free so I’m going to make this GF apple crisp recipe for Christmas dinner. Now I think I’ll go have a snack because just writing this post is making me hungry. Cheers to you and yours!! When the team at Dazzling Decor asked us to style one of their bar carts, it was a no brainer for today’s holiday entertaining post. I love the mix of gold, glass and luxe green marble on this gorgeous piece. I’ve always wanted one for my home, but never found the perfect spot for one. I love how today’s bar cart turned out, it’s functional as a spot for cocktails and appetizers and looks so festive and chic! Details| bar cart, gold rocks glasses, coasters, candle and serving trays are all courtesy of Dazzling Decor in Houston. 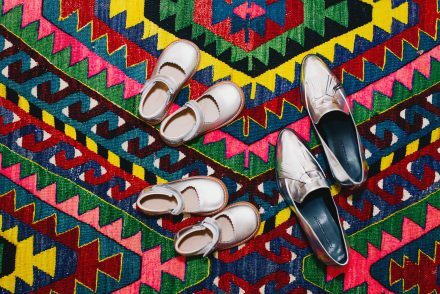 Be sure to follow this fabulous spot for all things interiors on Instagram! My dress is by Saloni, Marcia’s necklace is Ranjana Khan, both carried at Tootsies.